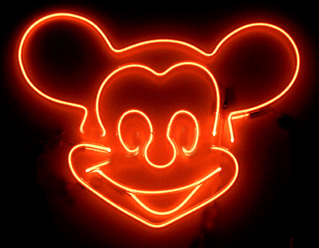 Neon manufacturing technology was started in Paris in 1912 and has amazed the world ever since without changing much in the process. 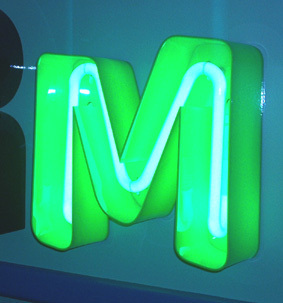 Neon signs started to be used in Malta in the 1960's, but went into a decline in the late 1970's and 80's. A come back started slowly in the 1990's and Skyline Plastic Works came in the picture. 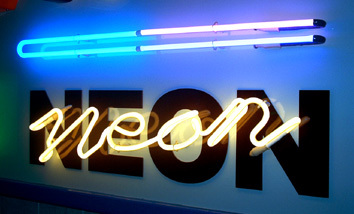 It was always the dream of our founder and first director, Mr John Busuttil, to include Neon manufacturing with the endless list of products we can offer. But for one reason or another, this wish never materialised. 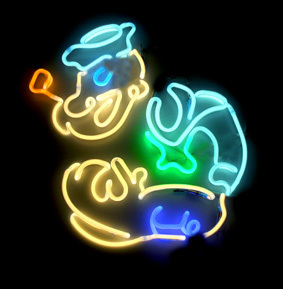 It was his son, Joseph who eventually invested in Neon equipment in the late 1990's. 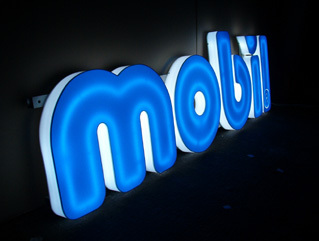 Thus today, Skyline Plastic Works is the only company in Malta who can produce in-house any sort of signage you need. The basic principle of the luminous tubing is an electrical discharge caused by a rare gas in a partial vacuum environment. The two principle rare gases used in luminous tubing are neon (producing an orange -red colour) and argon (producing a blue colour). Both gases can be used in clear lead free glass tubes or else in pre-coated lead free glass tubes to produce a wide selection of colours. At Skyline Plastic Works we can offer you any type of font, design or logo to be manufactured in a Neon sign from the selection of four sizes of lead free glass tubes - 8mm, 10mm, 12mm, 15mm; and more then 18 colours which you can view by clicking the button below. 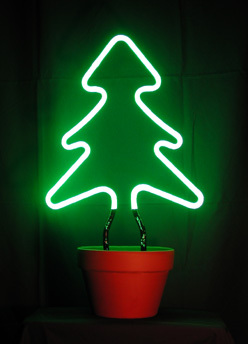 We can guarantee our Neon products, as we import them from the top companies in the world, using the most advanced methods of production and the best quality raw materials available. SIGNS - The visual effect a Neon Sign leaves on the passer-by is without any comparison. 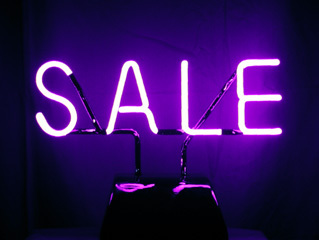 Nothing can be more attractive and eye-catching than a Neon Sign. Sizes and designs are no problem and all our signs can be either installed externally or internally. We will not only help you throughout the whole process, from the design stage until the fixing of the sign at your premises, but we also guarantee our prompt service for repairs and maintenance without any hassle. 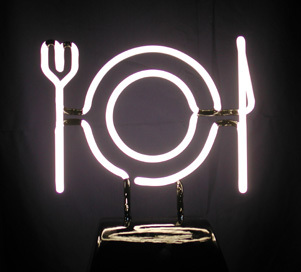 FREE-STANDING - These are special neon signs which you can be placed easily on your reception desk, bar, shop window and even on your living room furniture without the need to drill any holes. All these are supplied with specially imported stands that are very attractive and bland well with any decor style you already have. We have a large selection of ready-made signs which can be used either to pass a message or just for decoration, but you can order anything you need. COMBINATIONS - As we manufacture a large number of different products, we have the advantage of offering our clients infinite possibilities of combinations, in particular with Neon. 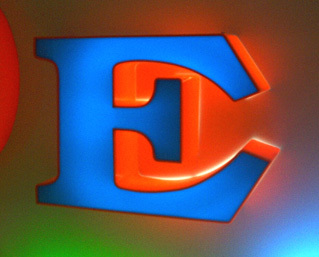 The effects produced by combining Neon with Engraved Transparent Acrylic have to be seen to be believed. 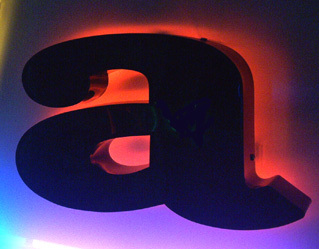 And what about Neon and Box Type Letters, with Neon tubing visible or hidden ? 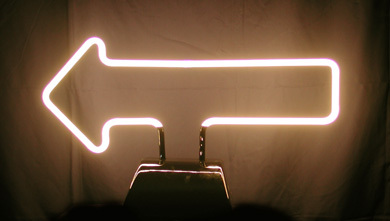 FLASHERS - To further enhance the effects of your neon sign and attract more attention, we can offer you five different flashers which give you the possibility of infinite play sequences with your neon tubes; not just on and off but also dim and bright. 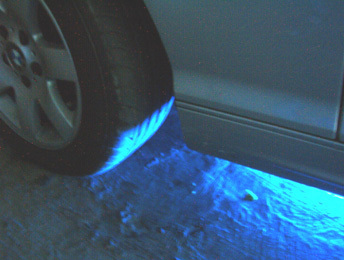 AUTOMOBILE - The latest craze - the bottom of your car will be lit by a nice all-round colour light by the installation of four neon tubes around the perimeter. The advantage of ordering these from Skyline is that you can select your colour from more than 16 different colour shades. Your car can basically be unique with its particular colour light. For detailed information on each category and the different possibilities with Neon we can offer you, please click one of the buttons below. 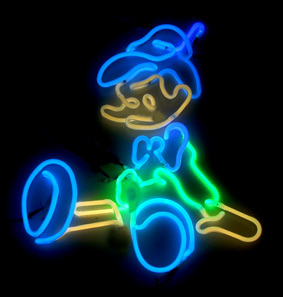 Unlike other Neon manufacturers, we guarantee that ALL our neon supplies, from transformers to cables, from glass to gas are produced in the EUROPEAN UNION and comply with all the EU Quality Standards Regulations. 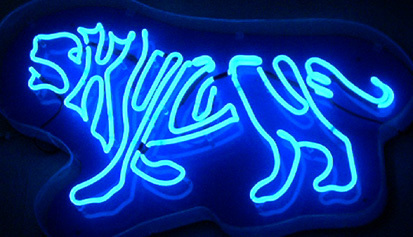 Unlike other Neon manufacturers, we guarantee that we repair ALL old Neon Signs, not only those manufactured by us but also those manufactured by other companies.